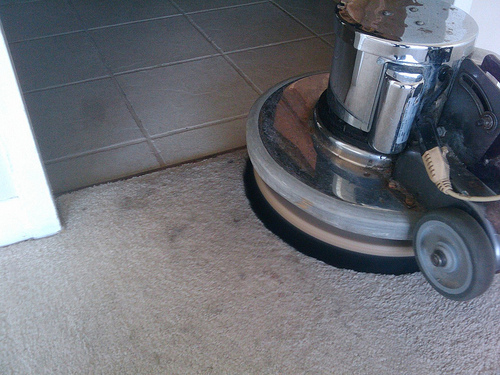 Eve Environmental Services: What Are The Carpet Cleaning Mistakes You Should Avoid? The carpet in your office or home needs to be kept clean at all times. A dirty carpet is a health risk and hence should be avoided at all costs. Simply put, keeping the carpet clean is vital for the look, indoor air quality and feel in a room. Here are some of mistakes to avoid so as to ensure your carpet remains as clean as possible. You need to have a sample of your carpeting for use to test any cleaning products you acquire before using them on your carpet. Some extra pieces of your carpeting material are perfect for use to test any type of deodorizing or neutralizing product you purchase for the first time. The last thing you want to see on your prized carpet is a stain developing as soon as one of the cleaning products is used on it. If an extra piece of carpeting is unavailable, then pick out a small spot on the carpet for testing. Letting spills to set on your carpet, particularly when the spill is from a pet, is a perfect way to kill it. According to carpet cleaning experts, while it is possible to clean and deodorize some old stains, the odds of completely removing a fresh one are significantly higher. But when a spill is left to dry out, it becomes extremely difficult to remove it later on. And depending on the type of the spill, it could immediately start to eat way at the carpet fibers. Not only this, if the carpet padding becomes soaked in a given section, the entire area of the carpet may need to be replaced. Never use a wet vacuum or a professional steam cleaning machine to pull out a stain from a carpet. The heat emanating from these machines actually cause the stain to set deeper into the fibers of the carpet. The stain also should never be rubbed vigorously with a brush as this also causes it to set deeper into the fibers. Instead, soak the spill with newspapers or paper towels on top of a pile of normal towels. Use approximately 50% white vinegar and water and gently brush the stain. Note that vigorous brushing or rubbing untwists the fibers allowing them to sit down giving that dull, trampled appearance. There is a good reason why all carpet manufacturers recommend at least one deep and thorough professional carpet cleaning a year - it is the best way to do away with dirt, grime and soils that have been pushed deep down into the fibers by the vacuum cleaner. The machines used by professional carpet cleaners, for example high pressure steam carpet cleaning machines, run water and the cleaning product deep down to the padding of the carpet. This allows deep cleaning while preventing the carpet from getting too wet and hence reducing the risk of mildew and mold formation. These machines also remove those stubborn stains that have not been fully removed by the normal cleaning during the year. Professional carpet cleaning is perfect when it comes to re-energizing high traffic areas by restoring that luster and like-new shine to the carpet. According the Environmental protection agency, carpets are a major source of volatile organic compounds referred to as VOCs. These are substances that have carbon and can evaporate at room temperature. These can trigger effects such as irritation to the eyes, headaches and sinus pressure. Expert carpet cleaners recommend that after cleaning a carpet or putting into place a new one to allow a day or two to completely air out the carpet. If you have never thought about the many things that settle into your carpet, then now is the time you got thinking. Beyond dust, grime and dirt, carpets accumulate mold spores, dust mites, pet dander and pesticides. These all are serious problems that have made Environmental Protection Agency to judge indoor air quality to be one of the greatest pollution dangers in this country. Keeping your carpeting clean makes it look and feel good and also improves the indoor air quality. In any case, who doesn’t like a clean and fresh smelling room? When all's said and done, the health of your family, staff members and people who comes visiting is an added incentive to professionally cleaning from time to time. Also it is recommended to vacuum clean the carpet at least once per week. For high traffic areas, this vacuuming needs to be done at least twice per week. In addition, it is advisable to follow the manufacturer’s recommendations for regular professional carpet cleaning. Professional carpet cleaning involve water extraction machines that circulate water deeply into the carpeting, then completely removing it, eliminating the danger of mold and mildew while at it.